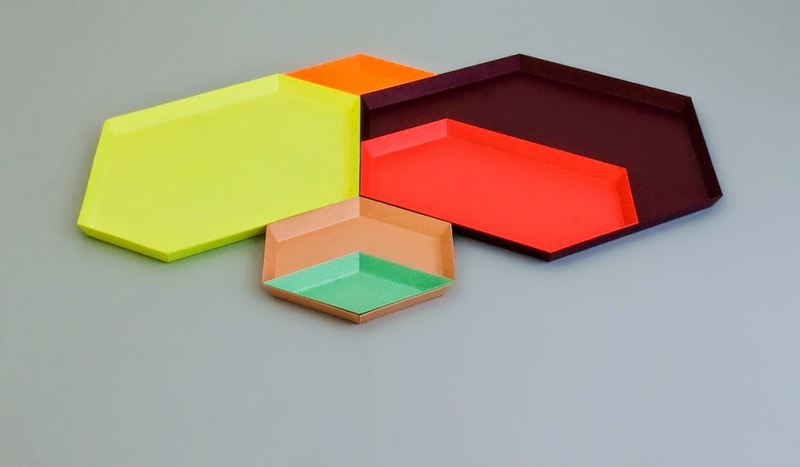 [New York], June 3, 2014 - Today, we're loving Clara von Zweigbergk's colorful, geometric "Kaleido" Trays in Metal. 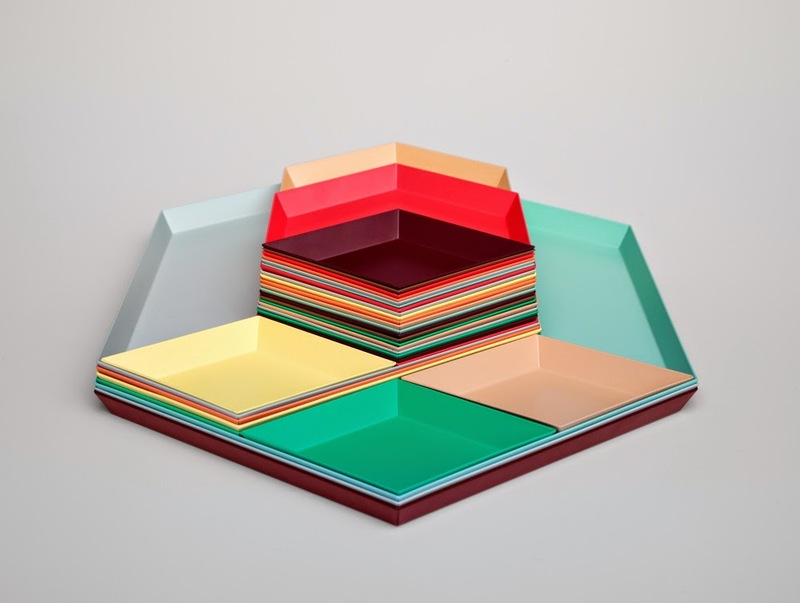 Kaleido is a series of steel trays in geometric shapes that nestle inside each other. 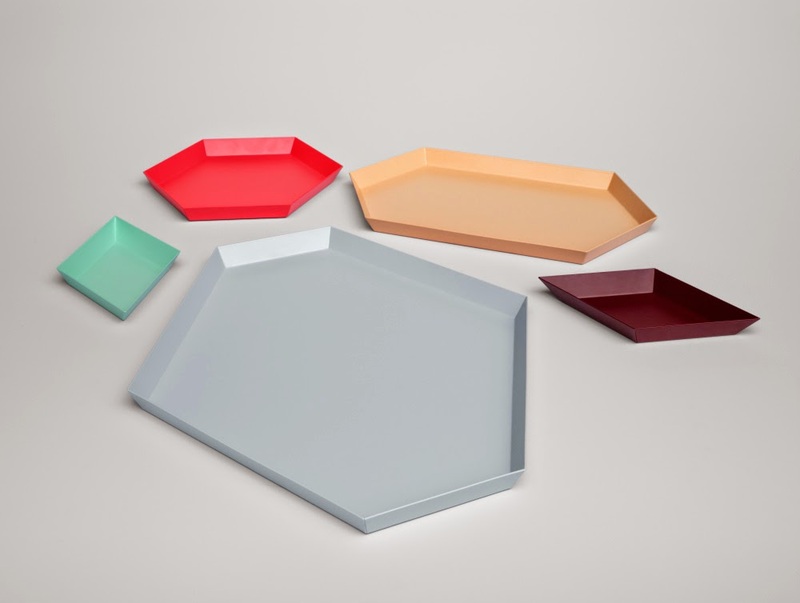 The trays fit together side by side or can be used individually. Kaleido combines classic and atypical colors in an interplay of contrasts that enables new functional constellations. 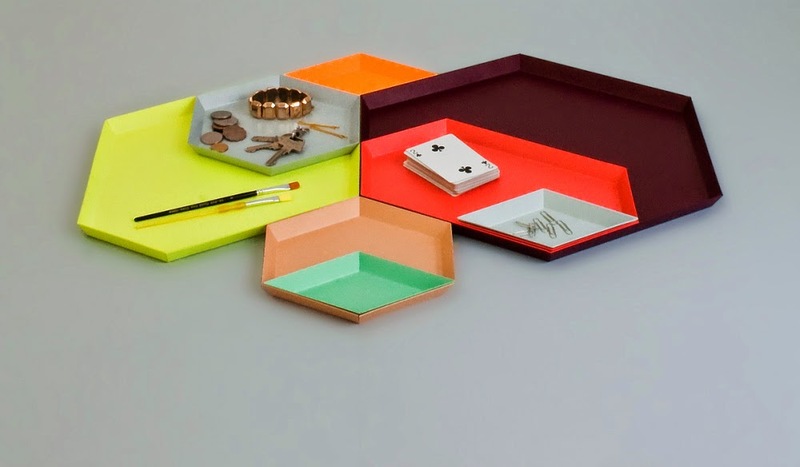 Kaleido takes tray service to a new level. Clara von Zweigbergk, award-winning graphic designer, has studied graphic design and illustration at Beckmans School of Design in Stockholm, and at Art Center College of Design, Pasadena, USA. She has worked as a graphic designer with advertising agencies and designers in Stockholm, Los Angeles and Milano. In 1997 she founded Rivieran Design Studio, with two partners, a multi- disciplinary agency spawning many successful collaborations within fashion, illustration, architecture, furniture, product, and graphic design. After four years of employment as a senior graphic designer at Lissoni Associati in Milano, with clients such as Boffi, Armani and Alessi, she started a studio in Stockholm. She currently pursues her great interest in paper, color, typography and hand craft through projects ranging from corporate identities, art direction, packaging and book design, as well a growing series of products. In addition Clara teaches at Beckmans College of Design. 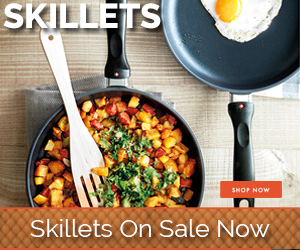 Launched by HAY 2012 and now available worldwide.